The long-deleted, essential collection documenting the early days of Congolese pop is finally being re-issued, this time as a double CD including both of the separate, original volumes. Lovingly put together by (Congotronics man) Vincent Kenis, Roots of RR contains 40 delightful tracks and chronicles the birth of what was to become Africa's most popular musical style. 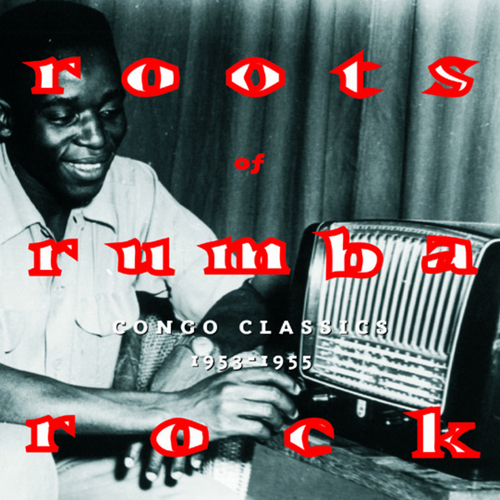 The origins of Congolese rumba, its strange links with traditional music, with salsa piano styles, French crooners and Belgian brass-bands… the social context, the lifestyle of early Fifties Congolese musicians, all of that and much more is extensively described in the liner notes written by Kenis and based on interviews with musicians from that era . Kitenge - Odjali Na Mouchoir? Tino Mab - Banani Wana?